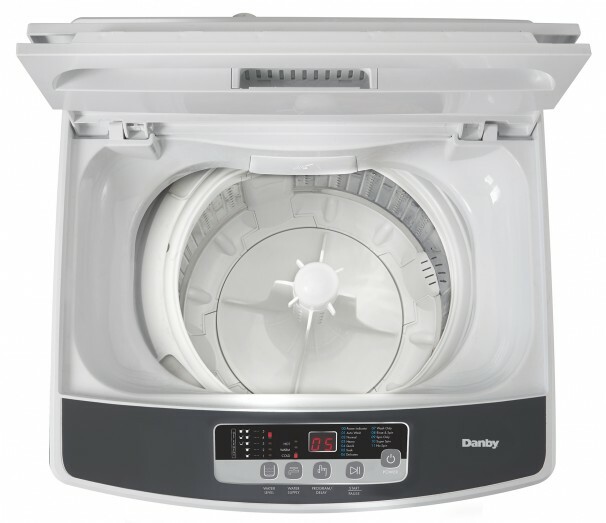 Doing the laundry never feels like a chore with this easy-to-use portable top-loading washing machine by Danby. 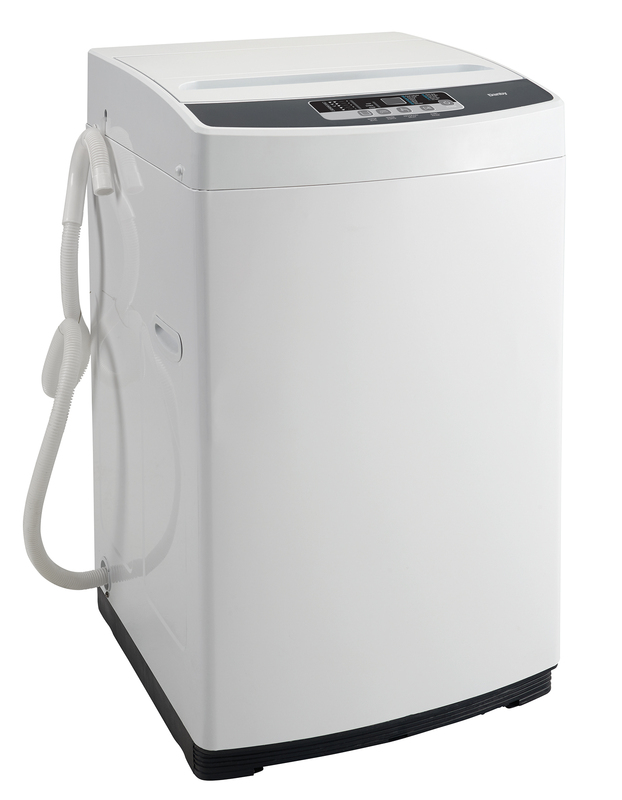 This convenient and compact model can be installed easily and quickly by simply connecting the hose to your laundry room’s standard faucet. This versatile machine offers 11 different washing programs along with 5 water level settings to make sure your clothes come out as clean as can be. 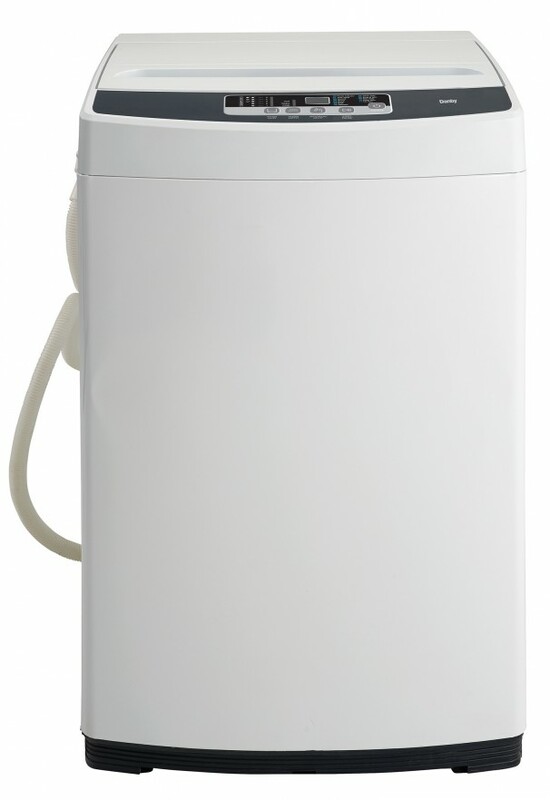 They’re all programmed by the unit’s smart electronic-control system and can be set with the touch of a button. 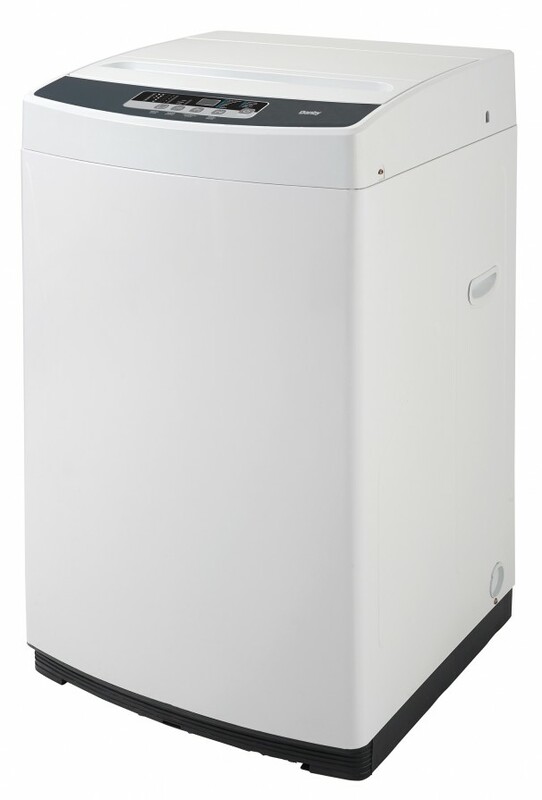 The sturdy and quiet appliance can handle up to 9.9 lbs (4.5 kg) of laundry in its stainless-steel tub and drum and the steel cabinet is made with rust-resistant galvanized steel. 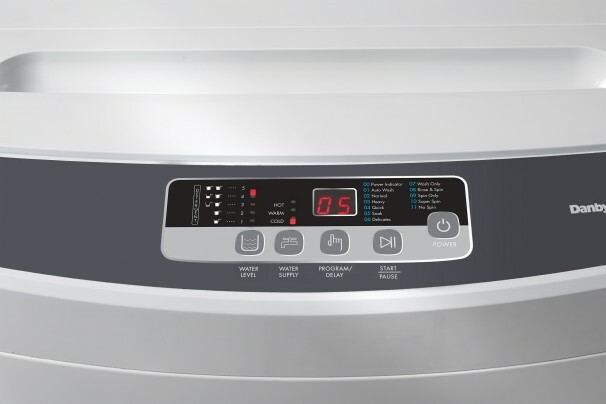 You never have to worry about overfilling the tub due to the clever water-overflow protection system and the safety lid makes sure the device stops spinning when the top is opened. 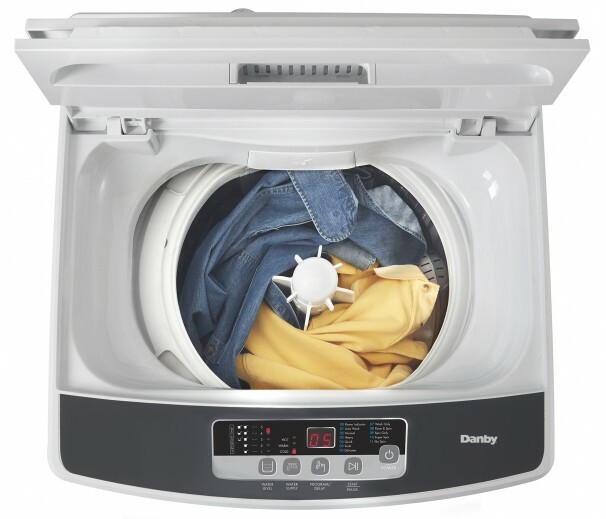 This fashionable washing machine is easy to transport with its convenient rollers and it also comes with a 12-month warranty on parts and labor with handy in-home service.